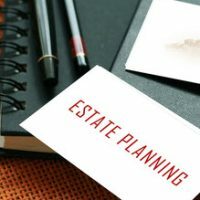 Estate planning may not be one of your favorite things to think about, but if you’ve got assets you’d like your loved ones to have, it’s essential. You want your loved ones to get your prized possessions and assets, which necessitates estate planning. If you own rental real estate, you’ll certainly want to ensure that the property and the profits go to the loved one you intend. So why do so many people avoid creating an estate plan? Simply put, estate planning is daunting. The statutes applying to estates and trusts are complicated. This is especially true of rental real estate, where providing for both the future of your loved ones and your rental real estate can be complicated. The first thing you must decide is what you want to happen with the rental real estate. If you prefer that your family or loved ones keep the real estate, you must leave proper plans in place for management. Otherwise, you can leave your plans open to inheritors selling the real estate and investing the proceeds. If you wish for your loved ones to simply keep the real estate and receive the profits, an LLC or Florida Land Trust may allow you to leave the profits to your loved ones without transferring the headache of owning rental property to them. You can discuss this with your estate planning attorney, who can best advise you for your specific situation. Rental real estate can be an amazing gift to pass on with amazing potential income or sales profits, but it also brings with it important legal considerations. According to Florida statutes, the landlord and tenant share responsibility for property maintenance as well as responsibility for any accidents on the premises. This opens the person you leave the real estate to at risk if accident expenses exceed your liability coverage or if an incident winds up in court. A solid estate plan with built-in protections, including use of a business entity and other steps as advised by your attorney, can help. Additionally, even rental income can become an issue without proper planning. Establishing a trustee to manage your assets can simplify the process of collecting and distributing rental income in the manner you intended. Whatever your rental real estate situation, don’t leave your loved ones to sort through the nuances of rental real estate issues alone. An estate plan ensures that the property and proceeds go where you want them to with no worries on the part of your loved ones. Estate planning is not simple, particularly when rental real estate is involved. There’s no need to navigate these complicated issues alone. Contact attorney David Toback today if you own rental real estate and want to ensure the best possible future for your loved ones. Your attorney can help with planning, LLCs, Florida Land Trusts, and even tax savings options.